I remember my first encounter with video games…it was the year 2000, and I was only 5 years old. Someone I knew was playing a skirmish on the recently released game Age of Empires II, a medieval real time strategy game that pitted the greatest civilizations in ancient history against one another on the battlefield. I asked to try the game out, and after about 5 minutes, I was hooked. I stuck with the Age of Empires series for several years, and I also dabbled in other popular games as they were released over the next several years. I haven’t played video games for a few years now, and save for the odd Halo night with some friends, I don’t really get many chances to. As we get older, responsibilities and life have a way of taking up more of our time and some hobbies just don’t seem worth it anymore. But, what if playing video games wasn’t an absolute waste of time? What if it was possible to take a childhood hobby, add some adult reasoning and drive to the mix, and ultimately transform something that brings us joy into something that also brings us some return as well? Well, that’s also the reason I decided to write this post. I want to outline how anyone with a love for gaming can take their hobby and incorporate ways to make money by playing video games, develop some useful skills in the process, and learn. Granted, these ideas will never quite beat the carefree days of sitting down for an uninterrupted gaming session, but they might give you a reason to add a bit of nostalgia back into your life! Making money as a video game tester. Apps that pay you to play video games. Trivia apps where you can win money. I’m sure many of us thought it would be cool to make money as a video game tester when we were younger. Just picture it: your 9-5 grind involves testing video games, playing through campaigns, leveling up characters, and trying to find errors in games. Pretty neat! Realistically, being a video game tester isn’t that glorified or simple. In fact, video game testing is essentially a QA job in which the majority of your work is centered around finding bugs, recreating them, and reporting them. 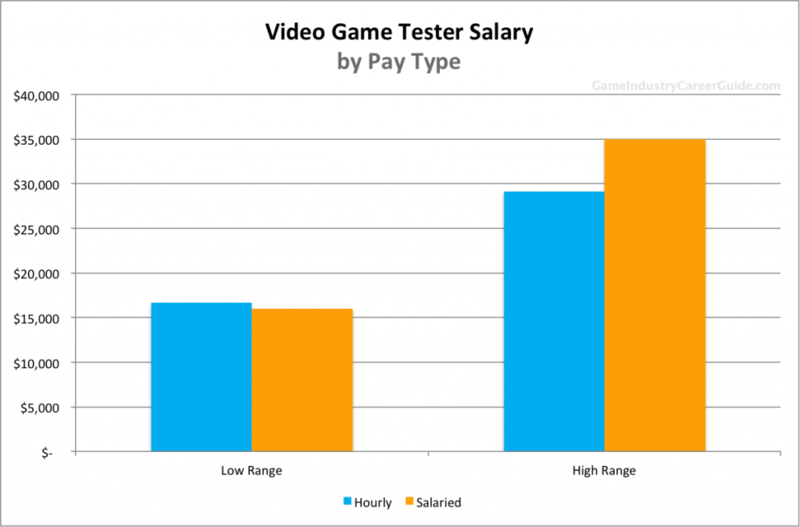 Additionally, a lot of video game testing work is contractual, and full-time work isn’t always the highest paying. Long story short, being a full-time video game tester can be a tough career move, but there are jobs out there and it is possible to turn video game testing into a decent side hustle. How can you realistically make money as a video game tester? Well, as my post on freelance writing mentions, it really comes down to finding some job marketplaces and knocking on doors until you’re in. There are a number of job marketplaces that frequently look for qualified game testers, and this is ultimately how you can find either full-time or part-time work in the industry. You don’t necessarily require a college degree, but as I mentioned, video game testing is quality assurance work. Having a high degree of attention to detail and previous experience in QA will dramatically increase the odds that you are hired. Indeed – This popular job platform always has video game testing jobs, ranging from pure QA work to language translating tasks as well. There’s also a decent mix of contract and full-time work on Indeed. Glassdoor – Glassdoor is similar to Indeed and allows video game studios to seek out video game testers for their unreleased games. PlayTestCloud – This game testing platform is a great option for people looking to use game testing as a small part of their side hustle routine. PlayTestCloud works with game testers in the United States, Canada, and the UK and invites users to test mobile games around 1-2 times per month. PlayTestCloud is interested in both IOS and Android game testing, and most testing sessions require 15-30 minutes of play time. Payout is typically $9+ per testing session. 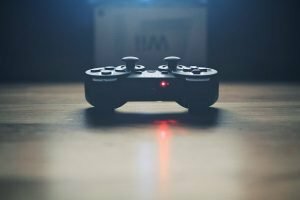 There are plenty of other game testing websites or job boards you can use, but I would start out with contract work on these 3 websites to get started. Video game testing isn’t for everyone, and that’s simply because QA work isn’t for everyone. However, if you have a perfectionist streak and love of gaming, working as a video game tester might be a decent side hustle or job option! These days, it seems you can get paid for completing almost any task you would normally do in your day-to-day life. I mean, there are data collection apps that pay you for walking, and a major part of my phone farming routine involves using passive income apps that pay to collect my user data. Hell, in my most recent post on global phone farming apps, I even tried out some apps that pay you to send texts to you. This world is truly bizarre. Considering how valuable our data is to marketers, it’s of little surprise that there are now ways to make money by playing video games by doing just that…playing. So, are there any apps out there that pay you to play video games? You bet, let’s look at them! PlayVig.com is a relatively new website that provides video game enthusiasts with ability to earn money for their efforts. Users then download the PlayVig system onto their PC. Users select the game they want to play from a list of popular games that have partnered with PlayVig. Completing specific game-related quests or advancing through the leader boards will the reward the users with PlayVIG coins (which can be redeemed for PayPal cash). 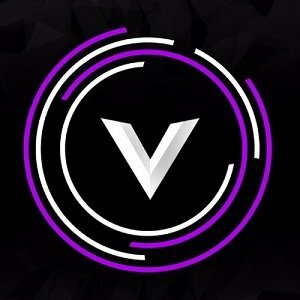 Before beginning a match, PlayVig will launch an advertisement that helps PlayVig generate revenue that can be paid out to players. While this might seem irritating, PlayVig is still in Beta, and they have stressed that they hope to sign additional advertising partners to their platform to increase their revenue, user-value, and reduce the frequency of advertisements. Additionally, PlayVig is also diversifying the ways in which users can earn through weekly tournaments and leader boards, and other ways to earn prizes are sure to come out in the future. So, in essence, PlayVig is an opportunity for gamers to make money by playing video games they wanted to play anyway. I don’t play video games anymore, but there are enough public testimonials on Reddit and other forums that have verified payments from PlayVig. Ultimately, as long as you don’t mind watching an advertisement between games, PlayVig can provide a way for you to earn money by playing video games. How much can you make with PlayVig? 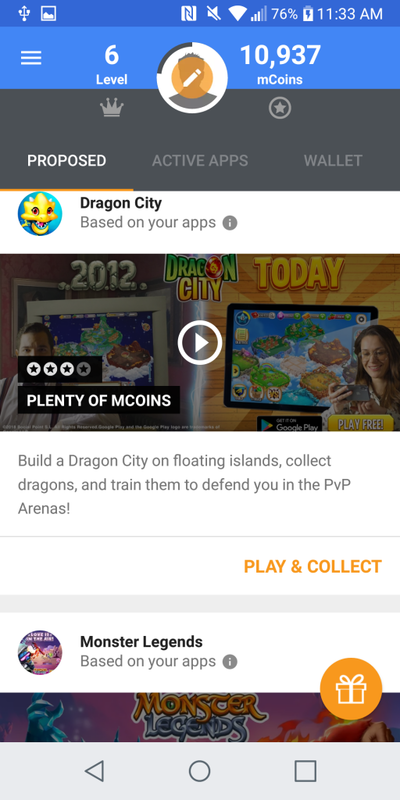 1,000 PlayVig coins equals $1, but various quests and games have different earning opportunities and caps. For example, you can earn up to 500 coins for finishing first in a Fortnight Solo Match, but this quest is capped at 3 times per day. Similarly, games like Hearthstone might give out a few hundred coins for a back-to-back win or other achievement. The variety of quests combined with the various amount of skill required to actually complete different quests means that anyone can earn with PlayVig, but better players will probably earn more than bad players. 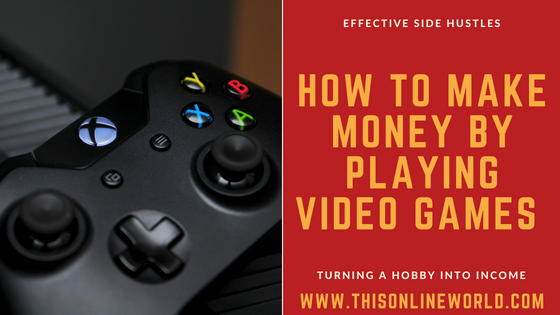 However, because of ad revenue and some noob-friendly quests, video game enthusiasts of all calibers can realistically earn passive income while playing video games. My final estimate would be that on the low end, you can earn $0.20-$0.30/hour with PlayVig, and that more skilled players could make $1-$3/hour before capping out the highest paying quests. Seeing as this is passive income, maybe PlayVig is worth a shot! If earning passive income by completing quests or watching advertisements isn’t your thing, perhaps competitive gaming and putting money on the line is up your alley. Playerslounge.co provides gamers with the chance to make money by playing video games in a competitive, high-risk high-reward environment. The concept behind PlayersLounge is simple: you pick your game, get matched against an opponent, and the winner gets cash. For the head-to-head matches, the minimum buy-in is $2.50, and the maximum challenge amount is $500. PlayersLounge also takes 10% of each player’s entry fee in head to head matches. 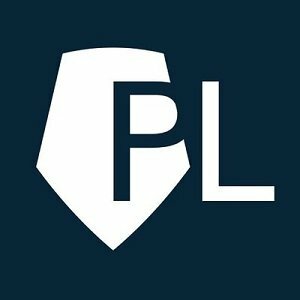 PlayersLounge has metrics such as their PLR (Players’ Lounge Rating) in place to match players of relatively equal skill against one another, and there is also a dispute system that can address concerns of cheating, disconnections, or foul play. However, at the end of the day, head-to-head matches are not easy money, and this is a risky platform. You can win big or lose big in a matter of seconds. PlayersLounge is also legal in the United States, with the exception of Arizona, Iowa, or Louisiana. More games are on the way, and PlayersLounge.co has certainly established themselves as one of the most popular ways to make money through competitive gaming. I’ve mentioned AppLike before in my 2nd post on the best phone farming apps, and AppJest is the IOS equivalent of AppLike so I figured I would lump the 2 apps together for this post. Anyways, AppLike and AppJest allow mobile game enthusiasts to earn money by downloading and playing specific mobile games. The system is similar to PlayVig, except you don’t need to watch advertisements to earn points/cash, you just download and play. I’ve used AppLike in the past to act as a passive income app for phone farming by idly running mobile games, but you could just as easily play the games and earn money while doing so. This loose pay-to-download model has some pros and cons. You won’t have to suffer through advertisements as you would with PlayVig, but the mobile game selection isn’t necessarily filled with premium/popular mobile app games. 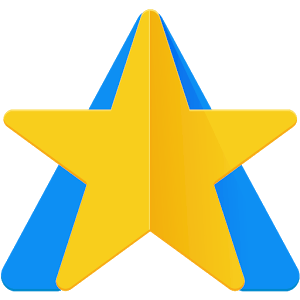 If you just want to play video games on your phone every now and again and aren’t too picky, AppLike or AppJest might be a nice way to earn some extra PayPal cash or Amazon gift cards every month. However, if you’re a serious gamer, I’d suggest starting your money making endeavors on the PC and with PlayVig. I have cited trivia games and apps as being some of the worst money making side hustles out there, and have advised people to stay away from the games unless they are good at trivia games. 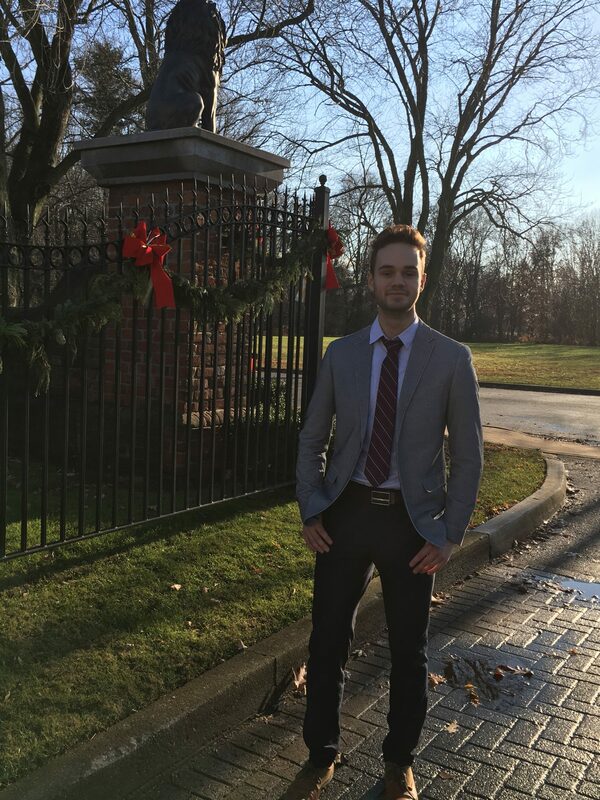 However, this post is about more than just making money: it’s also about having fun! In the world of game apps that make you money, I have to admit, it’s hard to find something more addictive than trivia apps. In recent months, trivia apps have exploded in popularity, and have provided app companies and major corporations an ability to market to a highly engaged audience with substantial cash prize pools. The only catch is, it is very hard to win these trivia games. And, if you do win, you’ll often be splitting the prize pool with other players. In any case, I’ll break down a few of the best trivia apps and games you can play to possibly make some side cash! It’s safe to say that HQ Trivia is the most popular trivia app on the market right now. 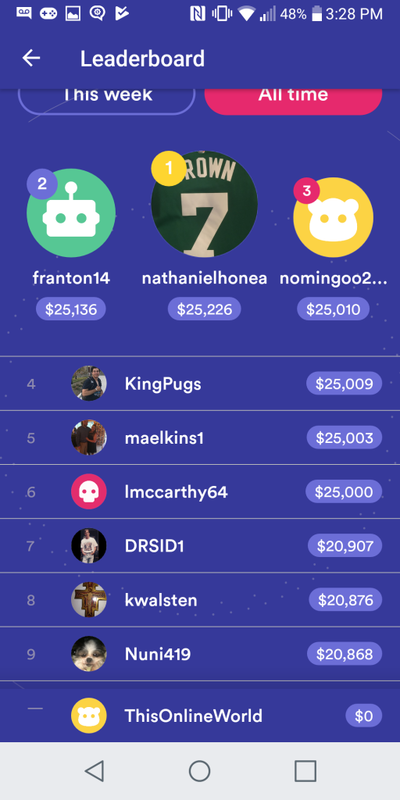 On HQ Trivia, users can tune in twice a day to compete in 12 rounds of tricky Trivia for a chance to split the prize pool with whoever is left standing. Most days, the HQ Prize Pool is about $2,500, but corporations are increasingly sponsoring HQ rounds with massive prize pools in order to promote their brand. In HQ Trivia the questions pass quickly, and Googling answers is pretty tricky to pull off. However, if you have a group of friends or some trivia knowledge, you might be able to make it through all 12 rounds! Clearly, some people have a knack for it…the top users have earned $25,000+ since the app was released. If you think you’re the next king of trivia, perhaps HQ Trivia is where you can establish your kingdom! 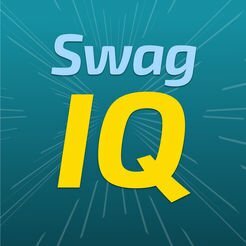 SwagIQ is basically the HQ Trivia of the Swagbucks universe. I’ve mentioned Swagbucks plenty of times on This Online World, and I currently use Swagbucks TV in my phone farming routine to earn passive income. In SwagIQ, users have to answer 10 questions in order to split the final jackpot, which is some amount of SwagBucks (which can be redeemed for a variety of gift cards or PayPal cash). 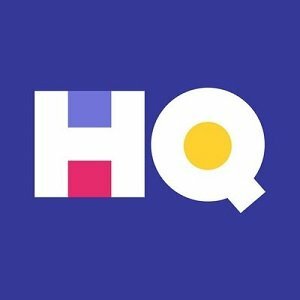 Unlike HQ Trivia, users are able to buy back into rounds of SwagIQ (unless it is too close to the final rounds) for a fee of their own SwagBucks. The fee isn’t horrible, and you can also earn 1-2 SB for watching the rest of the round after you’re out or making it farther into the competition, so it’s definitely a more balanced version of HQ Trivia. However, the prize pool and overall competition are both smaller, so while you’ll split the jackpot between fewer players, the payout is lower than HQ Trivia. Ultimately if you already use Swagbucks TV or the Swagbucks website to earn passive income, adding SwagIQ to your routine can help you reach those payout thresholds more quickly! You won’t become rich by playing trivia apps, but if you’re a trivia fanatic, these games might be a great way to earn some additional income! I’ve written a guide on how to start streaming on Twitch, and when it comes to making money by playing video games, this is one of the most alluring ways to go about it. Twitch.tv is a platform that allows video game players to broadcast their game play and personalities to viewers across the world. On Twitch, streamers are currently broadcasting to millions of viewers a day, with over 44 BILLION minutes of streams being watched every single month. Twitch monthly subscription fees from their subscribed viewers. Affiliate income, sponsorship, or paid promotions. Some full time streamers even pay editors to do this work for them, allowing the streamer to spend their efforts solely on streaming and content creation without having to worry about YouTube videos. Ultimately, this allows the most popular streamers to develop 2 streams of income that also promote one another; a live stream viewer can watch anything they’ve missed on the streamer’s YouTube channel, and YouTube fans can decide to tune in to the live broadcast if they have time. At the highest level, this results in streamers like Ninja making around $500,000/month through Twitch and YouTube revenue. I’ve covered more information about how to make money on Twitch in my streaming guide, so I won’t go too in-depth here. However, I couldn’t write a post about making money with video games and omit this behemoth of a platform. Just remember, streaming on Twitch TV and establishing a video game YouTube channel is extremely difficult. People are spending more time watching streams, but the number of content creators is also growing. Ultimately, you need to be sensible about the whole streaming and making money on YouTube concept. It is possible to turn either platform into a decent side hustle, but it requires time, dedication, and skill. If you are serious about streaming on Twitch or starting a gaming YouTube channel, I highly recommend you do some more reading and planning before deciding to make the commitment. Additionally, I also recommend checking out this guide on how to start a successful YouTube channel from my friend Peter at Seller At Heart for a great resource on getting your YouTube off the ground (and optimizing it). Edit: 2019/01/02: I’m editing this post in the new year to include one more tip for how people can make money by playing video games. Players are always looking to improve their skills in gaming, and video game guides are always in demand. Currently, there are hundreds of different websites where players can read video game guides, build orders, or strategy tips to improve their play. Thankfully, many of these websites will pay authors to contribute articles or their unique video game guides or reviews. If you have a knack for writing and have mastered a game or two, you can make decent money by writing video game guides for various websites or publishers. 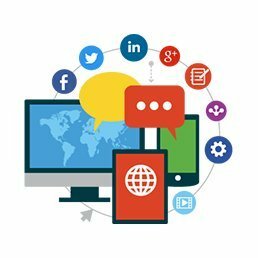 www.proguides.com (you can become a partner if you have a decent following on social media or Twitch/YouTube). There are plenty of other video game guide websites out there that have writing positions, but they don’t specify if they pay of what the rates are. However, never be afraid to reach out and inquire about paid writing positions! You might be surprised at what publishers are willing to pay. Ultimately this option is one of the tougher ways to make money with video games, but I wanted to include it in the list because it will appeal to anyone with a love for writing. I hope some fellow video game enthusiasts will find this post to be a refreshing take on how to make the most of your time spent in front of a screen. However, I also want to state that sometimes a hobby is just a hobby, and there isn’t a need to monetize it in the first place. There is nothing wrong with just playing video games to have fun or to learn something. On the flip side, if you find it hard to justify spending a few hours on video games, maybe adding some revenue into the equation can make things more interesting. Ultimately I think it is immensely difficult to make a full-time income from gaming, and I would advise against anyone sacrificing their job or education to attempt doing so. Happy gaming, and thanks for reading!